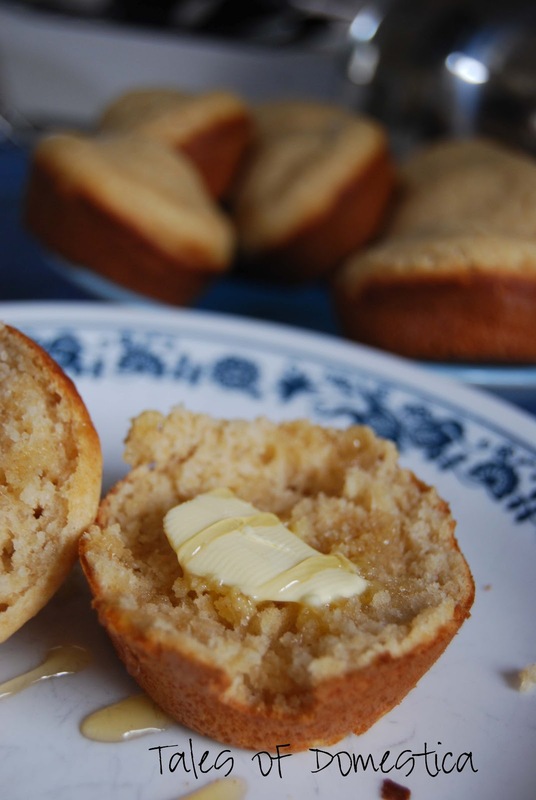 I have posted this recipe before, but I decided to change it just a tad, using only whole wheat flour and not increasing the baking powder. Here is my revised Whole Wheat Bisquik recipe. 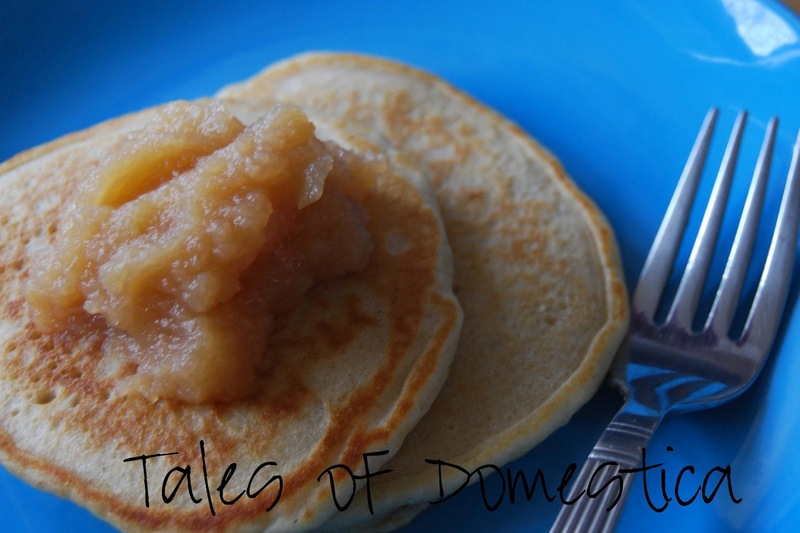 Our favorite way to use this mix is to make pancakes topped with home canned applesauce. MMM, the kids love it too! 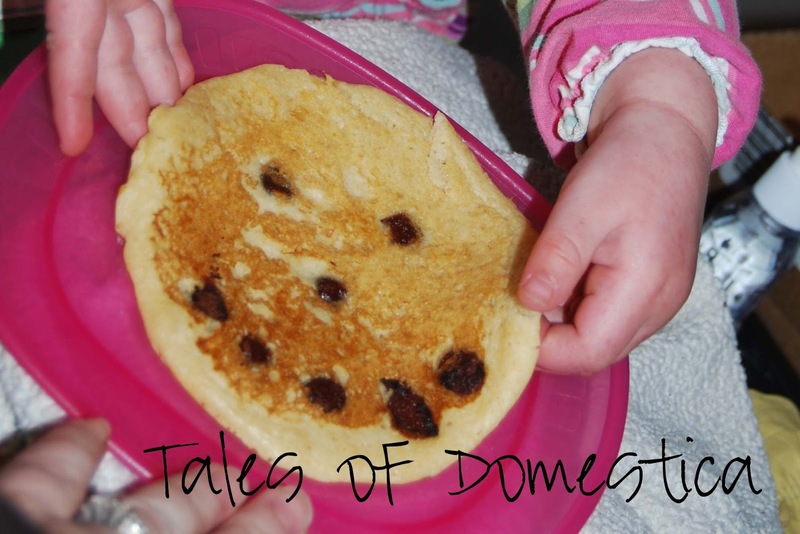 We have also added chocolate chips to make happy pancakes. I pulled this trick out of the bag on a particularly crabby morning for Lil’Miss. It worked, but my tricks don’t always work. Today we tried out a new recipe. Madeline’s Muffins, they were yummy! In a large bowl, sift together all dry ingredients. Blend well. With pastry blender, cut in shortening until evenly distributed. Mixture will resemble cornmeal texture. Put in a large airtight container. Label. Store in a cool, dry place. Use within 10 to 12 weeks. Makes about 13 cups of Quick Mix. 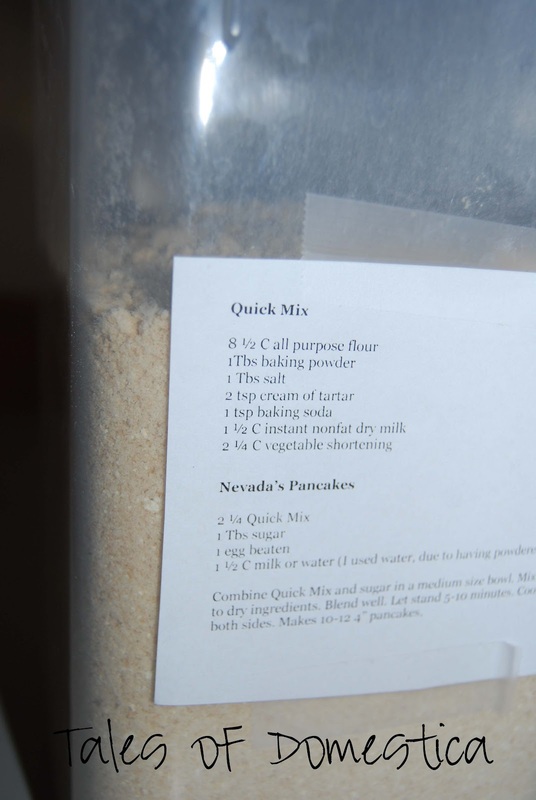 Combine Quick Mix and sugar in a medium size bowl. Mix well. Combine egg, milk or water in small bowl. Add all at once to dry ingredients. Blend well. Let stand 5-10 minutes. Cook on hot oiled griddle about 3 to 4 minutes, until browned on both sides. Makes 10-12 4” pancakes. 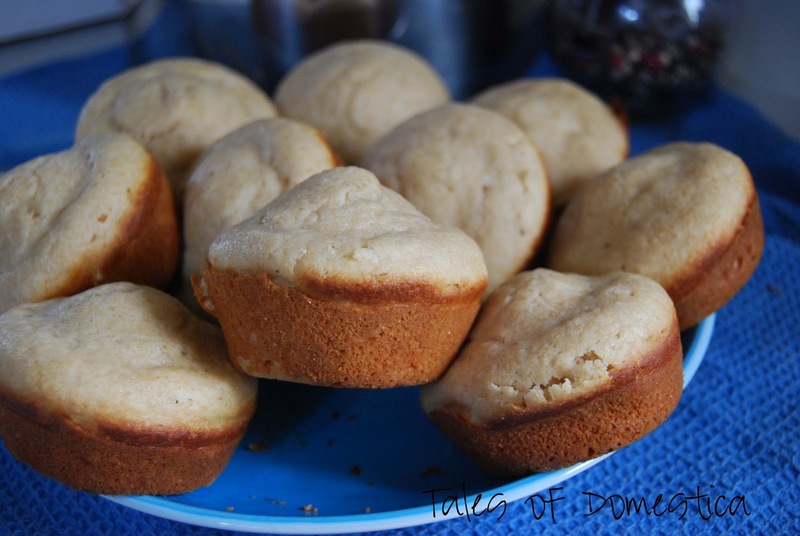 You can add all sorts of goodies to these muffins to mix them up a bit. I wanted to try out the base recipe before I started adding things. I thing next time I would like to try adding craisins, cinnamon and sunflower seeds. 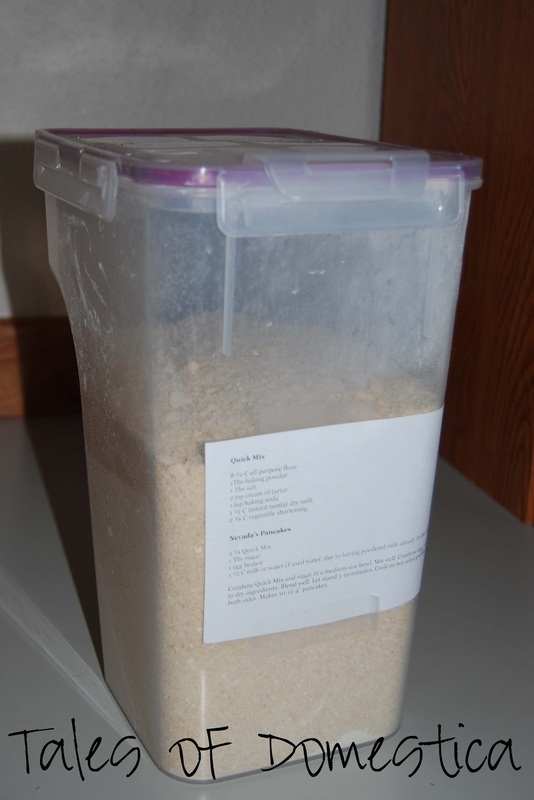 I like to print the recipes and tape them to the mix container so I don’t have to dig out the recipe. 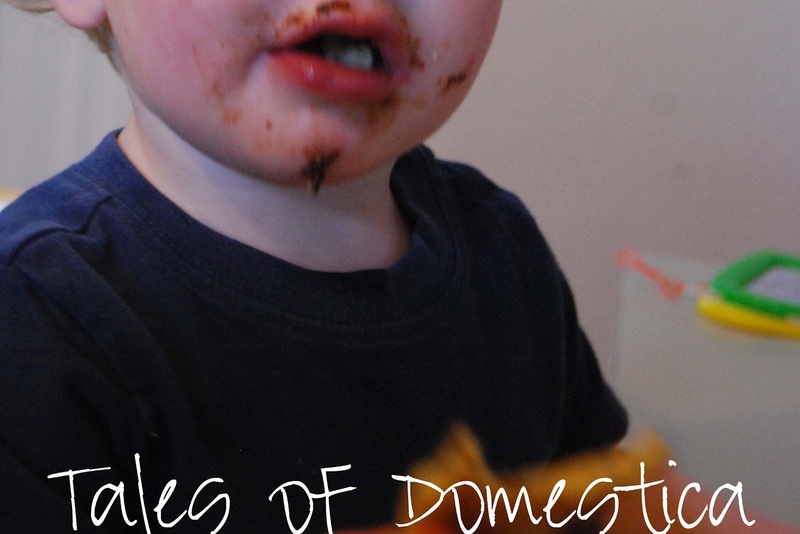 Do you have any go to mixes in the kitchen? Or wish you had a go to mix?